Know Details of Prepaid Telenor 4G Plans, Recharge/Activate Telenor 4G Plans, Validity of Telenor 4G Plans (28 days) & Offers of Telenor 4G Plans in Ahmedabad, Bhavnagar, Baroda, Anand and Surat. Telenor India has upgraded its dedicated 4G page for Gujarat telecom circle and has added Ahmedabad, Bhavnagar, Baroda and Surat to the list of cities where 4G is available in Gujarat. Earlier only Anand was listed as the city with Telenor 4G availability. Also Telenor has introduced new 4G Plans for Gujarat circle. 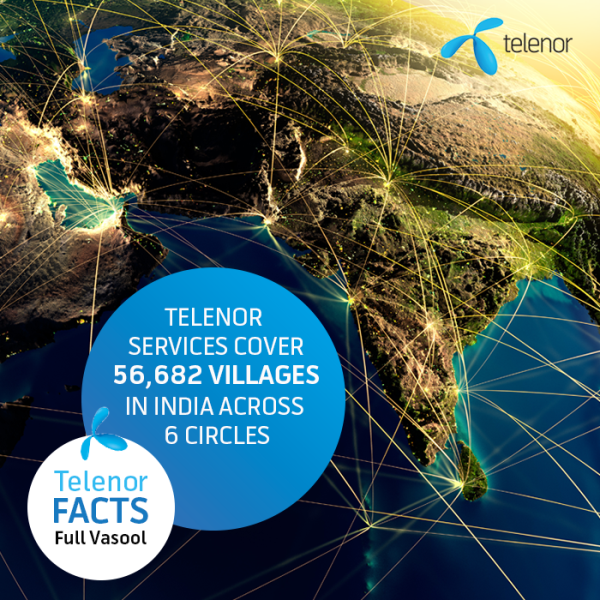 Telenor offers 5 4G Packs for its customers in Gujarat telecom circle. Starting with the 4G Pack 28, Telenor offers 120 MB per day 2G/3G/4G data for 28 days and the 4G Pack 71 offers 1GB 2G/3G/4G data for 28 days. The 4G Pack 105 offers Unlimited Local Calls Telenor To Telenor along with 1GB 2G/3G/4G data for 28 days and the 4G Pack 143 offers Unlimited Local & STD Telenor to Telenor calls with 2GB 2G/3G/4G Data for 28 days. And lastly the 4G Pack 349 offers Unlimited Local & STD Telenor To Telenor calls, Local & STD Telenor to other calls with 1GB/day 2G/3G/4G Data for 4G Handset only for 28 days. There is FUP in this plan of 1200 mins/week along with 300 mins/day. You can recharge the Telenor 4G Packs for Gujarat via MyTelenor App or do Online Recharge on Telenor website or via an Offline Retailer or via USSD as shared above.